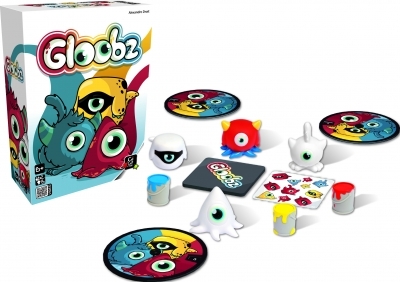 Gloobz are adorable creatures, but they wreak havoc everywhere they go! You need to be quick-witted and fast-acting to catch these funny little creatures before your opponents! New from Gigamic. 2-6 players, ages 6 & up. 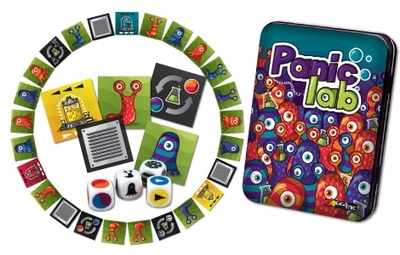 What a great mind game for little learners! The little creatures and paint cans are adorable and durable. I liked the illustrations in the back of the booklet allowing kids to quickly visualize how to play the game. Cleanup is super easy! Bonus! The gloobz figures are adorable. I would make this apart of our family game night. V.M. 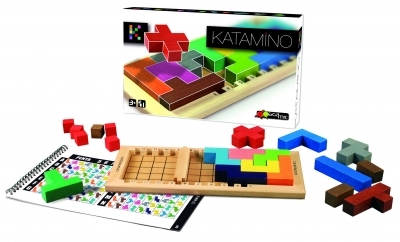 This game will be a fun one for the mind, you'll need to learn how to think & act quickly. Teaching children a fun way to learn shapes and colors. Fun game for the family!